Sleek and stealthy are the ways of this powerhouse! The 'blacked-out' look gives a distinct visual that looks great on stage. 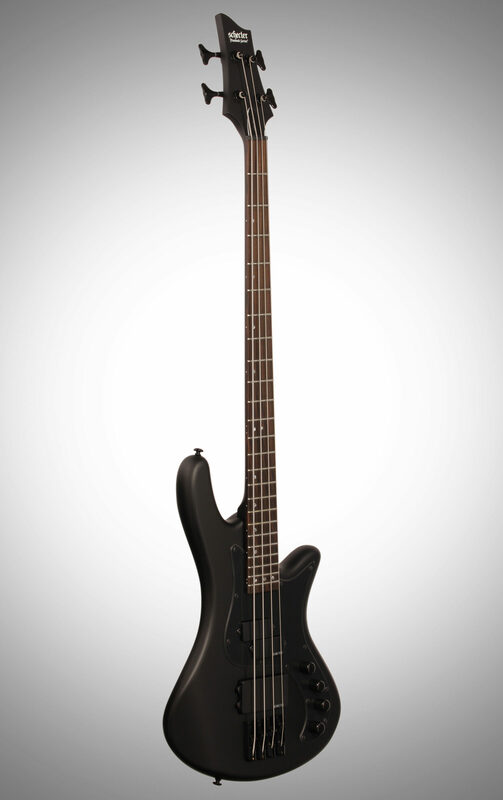 Schecter Diamond SuperRock MM and Diamond P pickups with 2-band active EQ provide maximum low end rumble with great versatility. 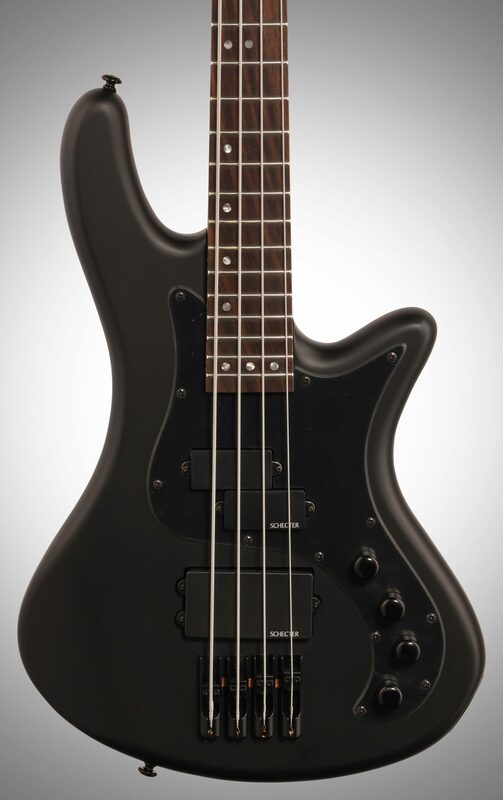 Overall: Ive owned some more expensive basses, and a few cheaper ones. 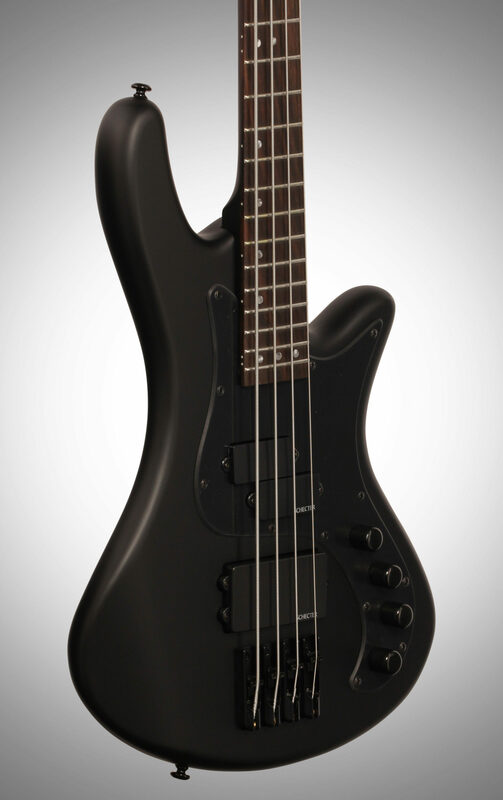 This bass plays very well. The combo pickups have a very good tone, and can be adjusted well in order to get a variety of tones. 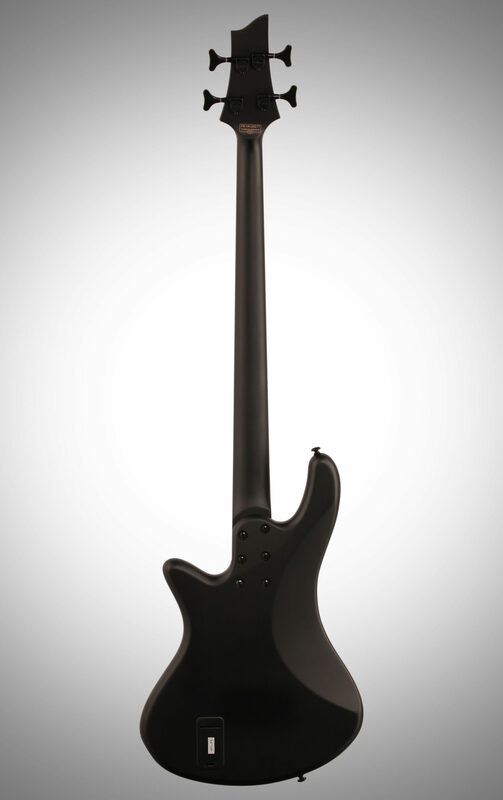 Unlike a strictly Jazz or P bass, the combo Jazz and MM pickups help give it a good tone. I play mostly metal, but it holds its own in other varieties of music. The action out of the box needed a little adjustment for my taste, but I know many find Schecters very playable out of the box. 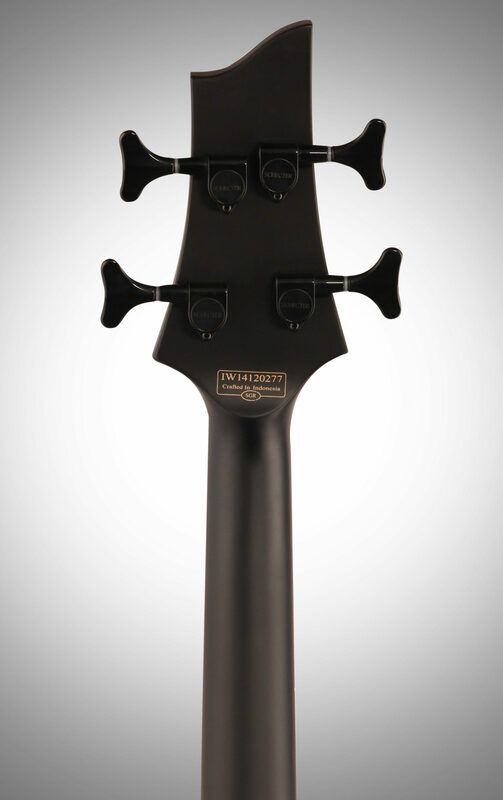 I have owned a Schecter Stiletto Custom, and this is pretty comparable playability wise. 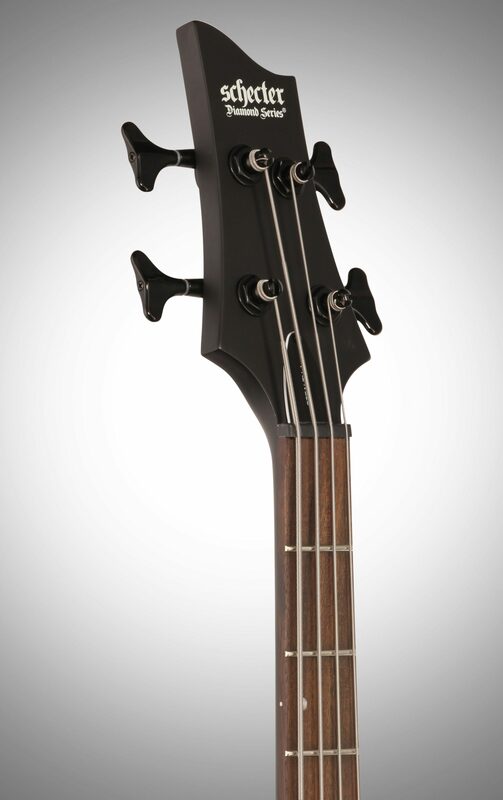 I would have no problems playing out with this bass, as it holds up very well. 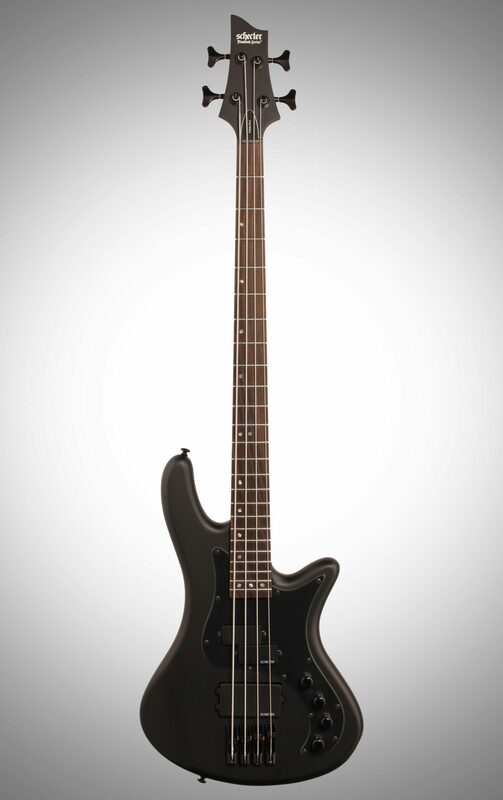 It would make a great beginners bass for the price, as you can continue to use it well into starting to play live. 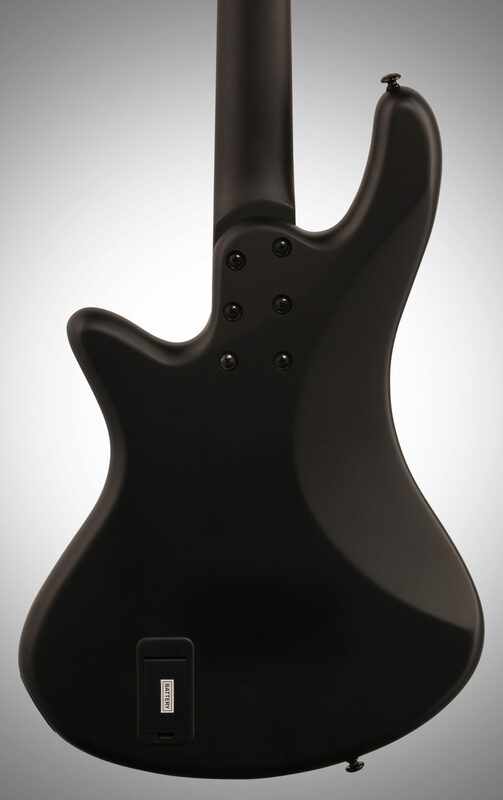 Even for intermediate users who play live shows will find it a decent all around bass to play. *NOTE* The 3 1/2 Stars for Overall is an accident, the site would not let me readjust it after. Style of Music: Rock, Hard Rock, Heavy Metal.